Welcome to the Faro Group at Morgan Stanley. 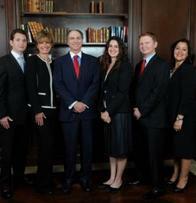 Combined our group has over 100 years of experience managing wealth and helping our clients meet their financial goals. Nelson Faro, together with his sons, Forrest and Kyle, and Rachel Baum are Financial Advisors that work with you to develop a plan that lays out a clear path to your objectives. Named to Barrons Top Advisor each year since 2010, Nelson Faro is consistently recognized for providing clients with exceptional wealth management services. As a member of the firms Presidents Club, Nelson Faro prides himself on the strong relationships that he and his clients have built over the years working together to preserve and grow wealth. With Morgan Stanley and The Faro Group you will have access to some of the worlds most seasoned and respected investment professionals, a premier trading and execution platform and a full spectrum of investment choices. Welcome to our site, we look forward to working with you. Our clients are all about what’s next: The next game, the next project, the next tour, the next venture, the next chapter in the novel, or the next chapter of your life. You already have the vision. However, any sports and entertainment professional requires a Financial Advisor who knows the industry and how your money flows from your work to your wallet. We have a dedicated sports and entertainment wealth management division backed by a global financial leader. We are Financial Advisors that are dedicated to understanding the unique financial challenges you face, and will handle these challenges with comprehensive wealth management plans crafted client by client. Under the lights or behind the scenes, successful people in the sports and entertainment world can turn to us for basic plans or sophisticated strategies. As a business owner, you have devoted your career to building your enterprise. Now it is time to plan for what comes next: enjoying the substantial rewards, spending more time with your family and pursuing new challenges. It is a transition that is among the most complex in the business world, and we will guide you through every step of the process. Exiting your company in a way that supports your financial objectives, preserves business value and positions your wealth to potentially achieve your legacy and multigenerational goals takes careful planning that begins many months in advance. Even if you have not yet sold your company, you may find yourself with a substantial net worth on paper that can be difficult to access and enjoy because it may be effectively illiquid. We will dedicate ourselves to creating balance sheet flexibility so that you may pursue personal and family goals. The complex financial issues of ultra-high net worth individuals and families require highly specialized resources and a deep understanding of the concerns associated with significant wealth. As experienced Wealth Advisors, we can tailor an investment strategy based on a deep understanding of your goals and will work with you to create a wealth strategy that is aligned with the core values that have shaped your life. We will provide you access to specialists in asset allocation and manager selection, as well as an open architecture platform with a wide range of traditional and alternative investments. We also offer opportunities for exclusive client events and educational programs for a select group of ultra-high net worth individuals. You have worked so hard to reach retirement with an abundance of wealth. However, wealth management does not end when you stop working. As your life continues to change, so do your goals. We will focus on your assets and liabilities to help adapt your strategy to meet changing demands. Our group provides a wide array of offerings and services centered on you and customized to help meet your needs. We will also provide access to specialists to help you pursue your specific retirement goals. As experienced Financial Advisors, we will develop a comprehensive understanding of your financial situation and create an aggregate view of your assets, liabilities, and investments to help keep you on track. Nothing currently scheduled, please check back in the fall. Enjoy your summer! As the financial world becomes more complex and investment choices multiply, careful planning becomes ever more important to helping you achieve your financial goals. As Financial Advisors, our role is to work with you to help you develop a plan that lays out a clear path to your goals — a plan that we develop in collaboration with you, and one that you can follow with confidence in the face of the market’s ups and downs. 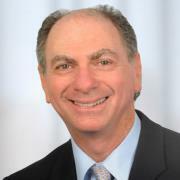 As a licensed investment professional for more than 30 years and 2014 member of Morgan Stanley Chairman’s Club, an elite group of the firm’s leading Financial Advisors, Nelson is recognized for his consistent creativity and excellence in providing a wide range of investment products and wealth management services to his clients. In 2015, for a sixth year in a row, he has been named to the Barron's Top 1200 Financial Advisors, a select group of individuals who are screened based on a number of criteria. Among the factors the survey takes into consideration are assets under management, revenue produced for the Firm and the quality of service provided to clients. Nelson was also selected by the firm to attend the 2015 Barron’s Winner’s Circle Top Advisors Summit, which brings together an elite gathering of the nation’s pre-eminent advisors. 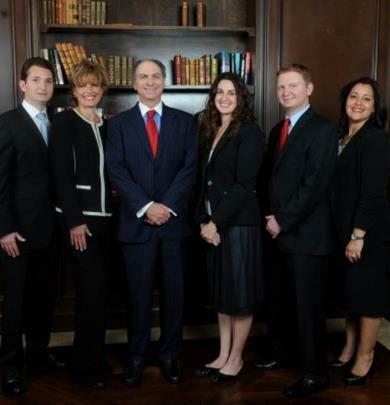 In addition, Nelson was recognized by the South Florida Business Journal as a NABCAP Premier Financial Advisor for 2011. Nelson concentrates on portfolio management and, he also focuses on equity research, portfolio hedging strategies and retirement planning. Nelson is firmly committed to long-term relationships and strives to deliver exceptional client service. An advertisement purchased in Forbes Magazine titled, “Strong Family Background” highlighted his dedication to forming long lasting and deep connections. He listens carefully to clients’ goals, values, aspirations and concerns; to attentively help them achieve their financial goals and objectives. Nelson serves as his clients’ gateway to the strength and resources of Morgan Stanley. Most importantly, he helps individuals make well-informed decisions and maintain the discipline they need to navigate the most challenging markets. 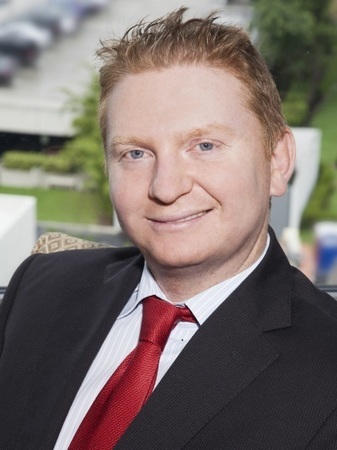 Forrest Faro’s professional credentials include Sports and Entertainment Director, First Vice President, Senior Portfolio Manager and Financial Advisor with the Faro Group at Morgan Stanley Wealth Management. Additionally, Forrest is also a NFLPA Registered Financial Advisor. Mr. Faro has been a part of the Morgan Stanley family for nine years now, where he previously devoted his talents to UBS Financial Services since 2000. Through his experience as a Sports & Entertainment Director, Forrest has a well-earned reputation for managing the unique needs and pressures that professional athletes are challenged with. Forrest has predominantly advised players in the NBA and NFL although not limited to high profile entertainers, owners and coaches. Forrest graduated from the University of Florida in 2000 with a Bachelor of Arts in Finance, where he dedicated a semester abroad studying at the American University of London, focusing on Global Business. He is a recipient of the 2016 Morgan Stanley Century Club and the Rising Star Award in 2006 with UBS Financial Services. Forrest Faro lives in Plantation, Florida with his wife Kim and his twin boys Jacob and Tyler. Kyle Faro holds the titles of Sports and Entertainment Director, Family Wealth Advisor, Vice President, and Financial Advisor with the Faro Group at Morgan Stanley. Kyle is a CERTIFIED FINANCIAL PLANNER™ professional who graduated from the University of Central Florida with a Bachelor of Science Degree in Finance. He began his career as a Financial Advisor at UBS Financial Services where he worked for two years, and then proceeded to Morgan Stanley. Kyle focuses on curating ideas from the Wealth Management platform of Morgan Stanley to meet the unique goals of his clients. He dedicates himself to providing personalized services to his clients with significant wealth, including both professional athletes and families. 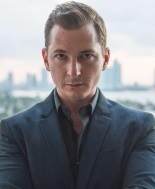 As a Sports and Entertainment Director, along with his brother, Forrest Faro, also a Sports and Entertainment Director and Financial Advisor, they have gained access to world-class resources that allow them to understand the unique situations that their high profile clients face. Kyle has predominantly advised players in the NBA and NFL as well as worked with coaches and owners of professional sports franchises. Kyle Faro lives and plays in Miami Beach. 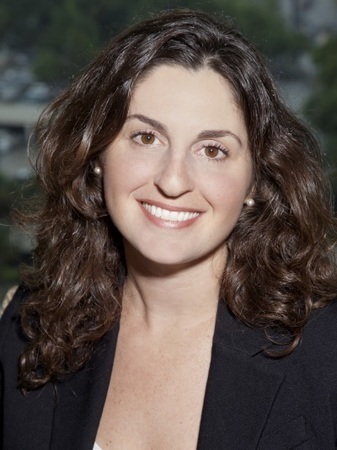 Rachel Baum has been a member of the Faro Group at Morgan Stanley since 2010. As a Financial Advisor, Rachel works with her clients on their meaningful investments. Rachel has developed a compassionate “client-first” philosophy offering personalized service, defined by strong relationships. By cultivating these relationships, she is ready to collaborate with each client and meet their changing objectives. Rachel dedicates significant time to addressing women-centered solutions to meet their unique needs. Rachel is ready to have open communication and be responsive to your concerns. Rachel is a graduate of the Wealth Advisory Associate Program, and worked to create personal wealth management strategies for clients. She does this by leveraging Morgan Stanley's state-of the-art LifeView financial planning platform solutions. Rachel coordinates educational and client events, in an effort to continually enhance the client experience. 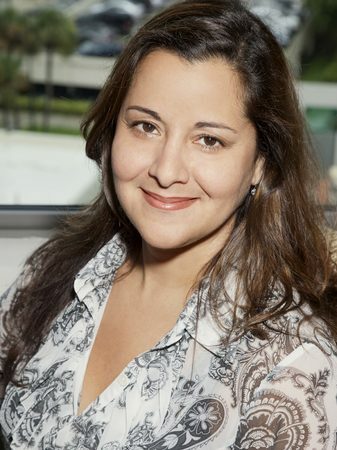 Rachel received her Bachelor of Science in Economics from Brandeis University in 2003 and went on to achieve a Master’s in Business Administration from the University of Miami in 2010. Janet has been in the financial services industry for over 20 years as a Client Service Associate. Since 2003, she has worked closely with clients to provide them with the quality service that they deserve. Janet enjoys working with the clients and providing them with her expansive service knowledge, specifically in the new account opening process. Understanding the unique financial challenges of athletes and entertainers and how they differ from one profession to the next, we deliver the experience and resources you need to help create and implement a comprehensive, multigenerational wealth management plan based on your needs, values and aspirations. Our new Ideas podcast examines the strange phenomenon of athletes and bankruptcy… and how to change the game. Ready to start a conversation? Contact The Faro Group today. 2Investors should consider many factors before deciding which 529 plan is appropriate. Some of these factors include: the Plan’s investment options and the historical investment performance of these options, the Plan’s flexibility and features, the reputation and expertise of the Plan’s investment manager, Plan contribution limits and the federal and state tax benefits associated with an investment in the Plan. Some states, for example, offer favorable tax treatment and other benefits to their residents only if they invest in the state’s own Qualified Tuition Program. Investors should determine their home state’s tax treatment of 529 plans when considering whether to choose an in-state or out-of-state plan. Investors should consult with their tax or legal advisor before investing in any 529 Plan or contact their state tax division for more information. Morgan Stanley Smith Barney LLC does not provide tax and/or legal advice. Investors should review a Program Disclosure Statement, which contains more information on investment options, risk factors, fees and expenses and possible tax consequences. 3Alternative Investments are speculative and include a high degree of risk. An investor could lose all or a substantial amount of his/her investment. Alternative investments are suitable only for qualified, long-term investors who are willing to forgo liquidity and put capital at risk for an indefinite period of time. 4Annuities are offered in conjunction with Morgan Stanley Smith Barney LLC’s licensed insurance agency affiliates. 5Morgan Stanley Smith Barney LLC (“Morgan Stanley”), its affiliates and Morgan Stanley Financial Advisors or Private Wealth Advisors do not provide tax or legal advice. Clients should consult their tax advisor for matters involving taxation and tax planning and their attorney for legal matters. 6Morgan Stanley Smith Barney LLC is a registered Broker/Dealer, Member SIPC, and not a bank. Where appropriate, Morgan Stanley Smith Barney LLC has entered into arrangements with banks and other third parties to assist in offering certain banking related products and services. 7Fixed Income investing entails credit risks and interest rate risks. When interest rates rise, bond prices generally fall. 8Morgan Stanley Smith Barney LLC (“Morgan Stanley”), its affiliates and Morgan Stanley Financial Advisors or Private Wealth Advisors do not provide tax or legal advice. Clients should consult their tax advisor for matters involving taxation and tax planning and their attorney for legal matters. 9Morgan Stanley Smith Barney LLC (“Morgan Stanley”), its affiliates and Morgan Stanley Financial Advisors and Private Wealth Advisors do not provide tax or legal advice. Clients should consult their tax advisor for matters involving taxation and tax planning and their attorney for matters involving trust and estate planning and other legal matters. 10An investment in an exchange-traded fund involves risks similar to those of investing in a broadly based portfolio of equity securities traded on exchange in the relevant securities market, such as market fluctuations caused by such factors as economic and political developments, changes in interest rates and perceived trends in stock prices. The investment return and principal value of ETF investments will fluctuate, so that an investor's ETF shares, if or when sold, may be worth more or less than the original cost. 11Morgan Stanley offers a wide array of brokerage and advisory services to its clients, each of which may create a different type of relationship with different obligations to you. Please consult with your Financial Advisor to understand these differences. 12Fixed Income investing entails credit risks and interest rate risks. When interest rates rise, bond prices generally fall. 13Insurance products are offered in conjunction with Morgan Stanley Smith Barney LLC’s licensed insurance agency affiliates. 14Insurance products are offered in conjunction with Morgan Stanley Smith Barney LLC’s licensed insurance agency affiliates. 15Income generated from an investment in a municipal bond is generally exempt from federal income taxes. Some income may be subject to state and local taxes and to the federal alternative minimum tax. Capital gains, if any, are subject to tax. 16Morgan Stanley’s investment advisory programs may require a minimum asset level and, depending on your specific investment objectives and financial position, may not be suitable for you. Please see the Morgan Stanley Smith Barney LLC program disclosure brochure (the “Morgan Stanley ADV”) for more information in the investment advisory programs available. The Morgan Stanley ADV is available at www.morganstanley.com/ADV. 17Morgan Stanley Smith Barney LLC (“Morgan Stanley”), its affiliates and Morgan Stanley Financial Advisors or Private Wealth Advisors do not provide tax or legal advice. Clients should consult their tax advisor for matters involving taxation and tax planning and their attorney for legal matters. 18Structured Investments are complex and not suitable for all investors, and there is no assurance that a strategy of using structured product for wealth preservation, yield enhancement, and/or interest rate risk hedging will meet its objectives.